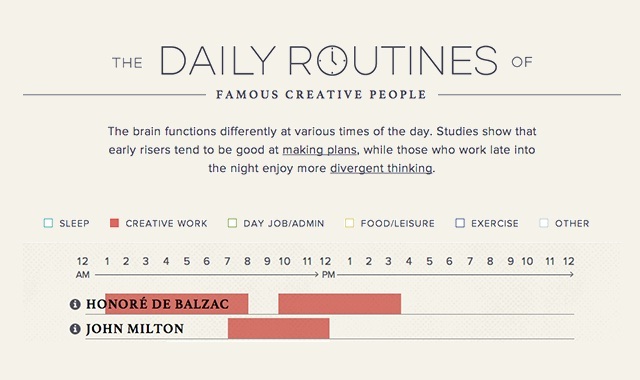 The Work Routines of Famous Creative People #infographic ~ Visualistan '+g+"
The brain functions differently at various times of the day. Studies show that early risers tend to be good at making plans, while those who work late into the night enjoy more divergent thinking. Want to develop a better work routine? 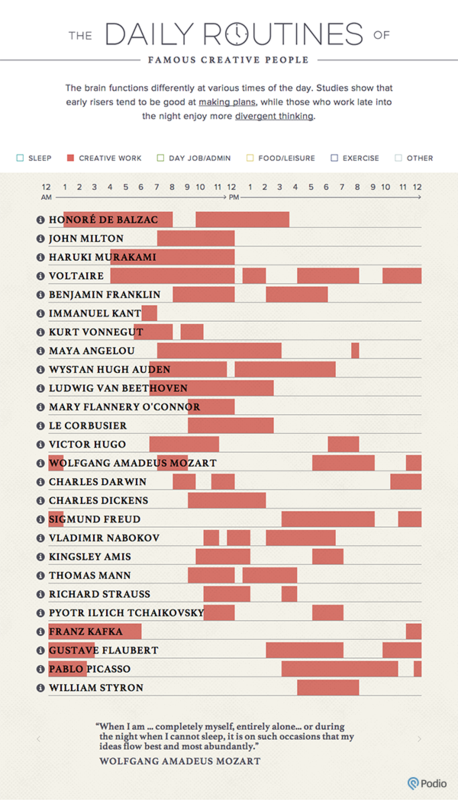 Discover how some of the world’s greatest minds organized their days.